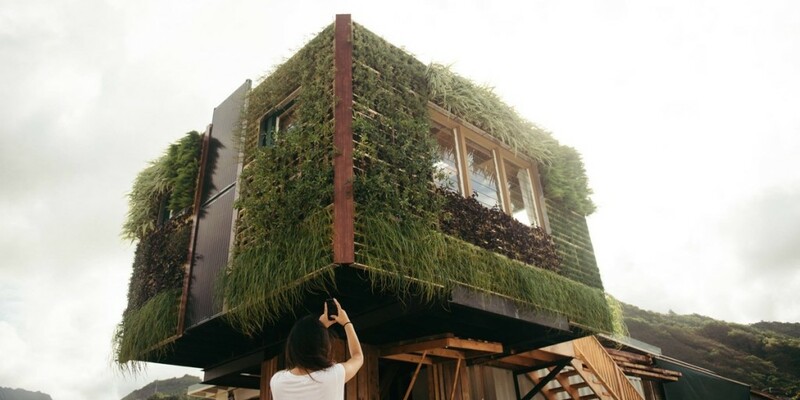 They look like giant, moss-covered Minecraft trees — cozy 250-square-foot plant-covered boxes perched atop tall pedestals. 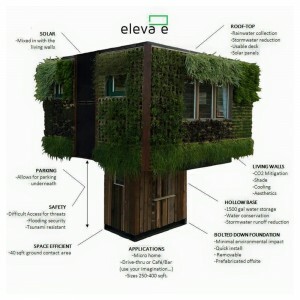 But the creators of Elevate have a much bigger vision for their eco-friendly design. Elevate is the brainchild of Nathan Toothman, who previously ran BEAR Engineering, a foundation engineering and inspection business. Originally from Colorado, he served as a submarine officer, engineer, and tactics instructor with the U.S. Navy for several years, and after being stationed at Pearl Harbor, he earned his MBA from Chaminade University. 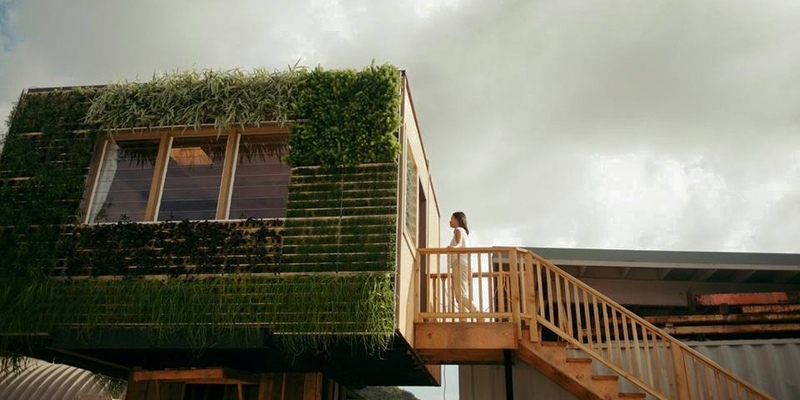 Toothman was doing engineering work at a site on the North Shore in 2012 when he began to imagine what kind of house could be designed to fit in with the natural environment, facing limited resources and natural disasters like tsunami. He found inspiration in trees, and through biomimicry and careful design, the Elevate was born. And the way the Elevate looks is an important part of the overall concept. The first application that comes to mind is the housing crunch in Honolulu, Toothman said, pointing to greater flexibility in local laws for smaller structures — from the “tiny house” movement to allowing more accessory dwelling units. A property owner could put an Elevate in his backyard and rent it out, creating affordable housing while also generating income. But he also sees the Elevate as a new model for commercial office space, including retail. Indeed, parking lots are problematic for more than just being ugly. 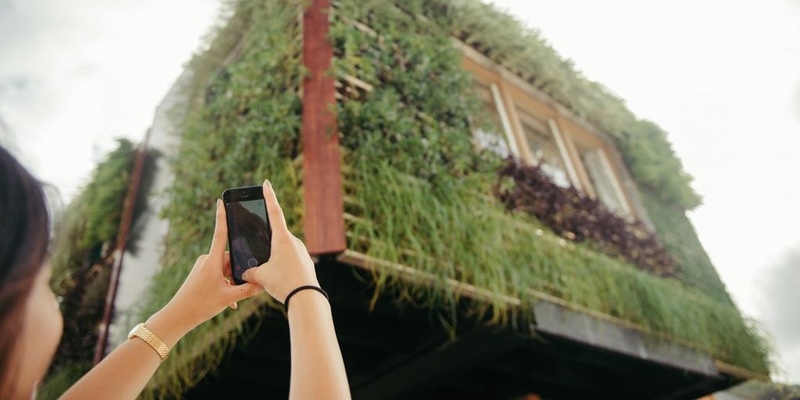 The prefabricated and portable elevated living or working spaces can range in size from 250 to 400 square feet, and the exterior “living walls” can include a range of plants, including edible ones. As for the “trunk,” the modest 40-square-foot footprint offers a lot of possibilities. While it could house an elevator for universal access, it’s otherwise a steel-reinforced hollow space. And for all the attention the Elevate might get for what you can see at ground level, there’s more going on underground. The Elevate has certainly captured the imaginations of people both in and beyond Hawaii, with coverage by Civil Beat and Honolulu Magazine, and recent write-ups in FastCompany, Gizmag, and the Mother Nature Network. To grow Elevate into a solid business, Toothman and his partners (including his wife and fellow engineer Tiffany) launched a Kickstarter campaign last month. So far $18,366 has been raised, but the $58,000 is still a long way off, with the deadline only 30 hours away. But the crowdfunding campaign won’t make or break Elevate. Toothman says they’ve learned a lot of lessons with their first Kickstarter that they could apply to another run. In the mean time, he said Elevate could also find backing through local accelerator programs, from XLR8UH to the Energy Excelerator. Whatever it takes to get Elevate off the ground, I’m confident they’ll make it happen. For more information on Elevate, visit ElevateStructure.com, follow @ElevateStructre on Twitter, or like the company on Facebook.